Market Intelligence reviews by real, verified users. Find unbiased ratings on user satisfaction, features, and price based on the most reviews available anywhere. Dataline offers comprehensive consumer database solutions. 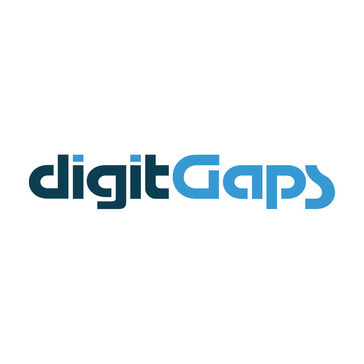 digitGaps is a global market intelligence company that provides market research insights, financial insights, strategic SWOT analysis, market dynamics (drivers, barriers, opportunities, and forecast), mergers and acquisitions, partnerships and investments, competitive intelligence, and news updates across 24 industry verticals and more than 80 markets. Endole Insight helps businesses truly understand data in innovative ways, using an authentic, connected software. By transforming the way businesses learn, Endole Insight provides companies with the tools they need to analyse, understand and act, helping you grow meaningful relationships with absolute confidence. Event Registry is a system for real-time collection, annotation and analysis of content published by global news outlets. The most comprehensive comparative analysis tool for exporters and manufacturers in India. Follow is a plugin to gather competitive intelligence on any website. FunnelWise integrates with CRMs and marketing automation platforms to help companies gain focused, deep insight into their revenue funnel. The FunnelWise solution allows both marketing and sales to: - Drill-down into key funnel metrics shared by marketing and sales: movement, velocity, conversions and aging - Determine revenue drivers to optimize efforts - Attribute marketing effort and view funnel leakage - Understand marketing’s impact on revenue - Identify missed revenue with cross-funnel comparisons - Diagnose issues and quickly course correct with an early warning system - Set and monitor progress to goals with daily indicators - Eliminate manual reporting and data manipulation - Accelerate growth with intelligent recommendations - Compare performance by funnel stage and data segments FunnelWise offers more than a software solution, it comes with a methodology and funnel expertise to maximize the investment. The FunnelWise team works closely with clients to ensure the solution drives future growth. GrowthIntel uses big data to predict and generate a list of highly qualified leads which increases the conversion rates. Hyllo is predictive analytics software that allows organizations to better understand how their online efforts translate into real-world transactions. The Marketing Genetics Database is sourced from more than 2,000 catalogers/retailers, subscriptions and donations over the past two years. These data sources are then enhanced with Infogroup's proprietary and partner demographic and psychographic assets, making it the powerful targeting database available today. Sapphire, a proprietary marketing database offered by Infogroup Media Solutions, is the powerful collection of email, telemarketing, and postal addresses in the marketing industry. Informatica's Intelligent Data Platform is modular data management software. Intellizence is an award-winning, AI-powered business signal intelligence platform for enterprises that monitors changes in companies, industries and regulators of interest. Intellizence discovers and delivers hundreds of sales and risk signals (e.g. M&A, C-Level changes, business expansion) from comprehensive external unstructured data sources (e.g. news, press release, earnings calls) for revenue generation and risk mitigation. Jumpshot’s platform collects and houses anonymized clickstream data from over 100 million users, globally. This provides unparalleled insight into shoppers’ entire customer journey online. From search to browsing, streaming, final purchase, and beyond, you can now truly understand your target persona, build effective audiences, and optimize your digital marketing efforts. Jumpshot Plus helps track your competitors across the web by comparing performance by sales volume, conversion rate, price and more. Jumpshot Plus featuers help detect new entrants, category trends and seasonal changes and understand brand loyalty and cross-shopping behaviors. RTI builds a unique customer profile for every customer by observing their online behavior and collecting additional data from call center interactions and brick and mortar store systems. Klue is a market and competitive intelligence platform that helps Marketing and Enablement teams collect, curate, and deliver intel to Sales to close more deals. A sampling tool that can work alongside interviewing systems with an optional panel management module for online applications. Using MightySignal for Business Intelligence, you can spot gaps in the market that no one else can see. Then, you can create high-level strategies to attack those gaps and profit. The Mining Intelligence Companies and Properties Data Application offers you a wealth of global mining data at your fingertips. Get access to curated data from thousands of mining companies and their properties. Along with financial, production, and reserves and resources data, the application allows you to identify and/or compare mining companies and properties based on specific aspects that interest you, such as commodity exposure, ownership, geography, or development status of projects. MRP Prelytix's features and services support you at every stage of the customer acquisition journey. The Onsense market intelligence platform is your one-stop source of market information and insights. Monitor hundreds and thousands of companies daily, both public and private on business-critical topics. Relevant, real-time insights about customers, competition, and market trends in a single place. Orb Intelligence provides companies with high-quality, reference database of company information that forms the data backbone of a modern B2B data-driven sales and marketing organization. The product includes firmographic data for companies (names, addresses, corporate linkages, industry classification, revenue, number of employees, websites and IP addresses), enabling customers to enrich and manage their sales and marketing data. The world needs your opinion! Make a difference today.